The Prince of Wales has agreed to become Patron of Woodland Heritage in what is seen as a “tremendous boost” to their efforts to improve the management of woodlands in the UK. “We are immensely proud to receive this recognition and support from His Royal Highness,” said Peter Goodwin, co-founder of Woodland Heritage. “We see a synergy between the Prince’s views on the environment and the fact we support sustainable forestry,” he added. Mr Goodwin said Woodland Heritage believed in vibrant, working woodlands which provide quality trees and timber. 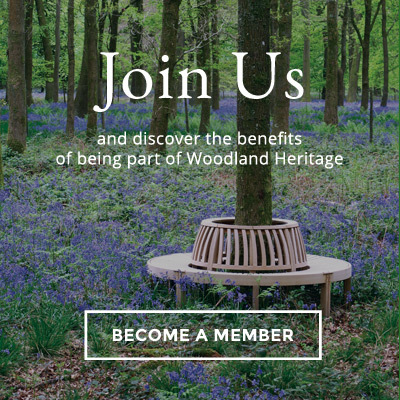 Woodland Heritage, said Mr Goodwin, seeks to unite tree growers with wood users and act as a vehicle for both wood users and consumers to ‘put something back’. It supports uneven aged silviculture (continuous cover forestry) where appropriate and by doing so helps to maintain native wildlife and wider environmental benefits. Travel bursaries are used to garner new ideas from across the globe to enhance collective knowledge and help spread good practice in woodland management.